Veteran political journalist Peter Kennedy has spent more than forty years observing politics in Western Australia across an extraordinary period of change in the state’s history, from 1970 to 2013. 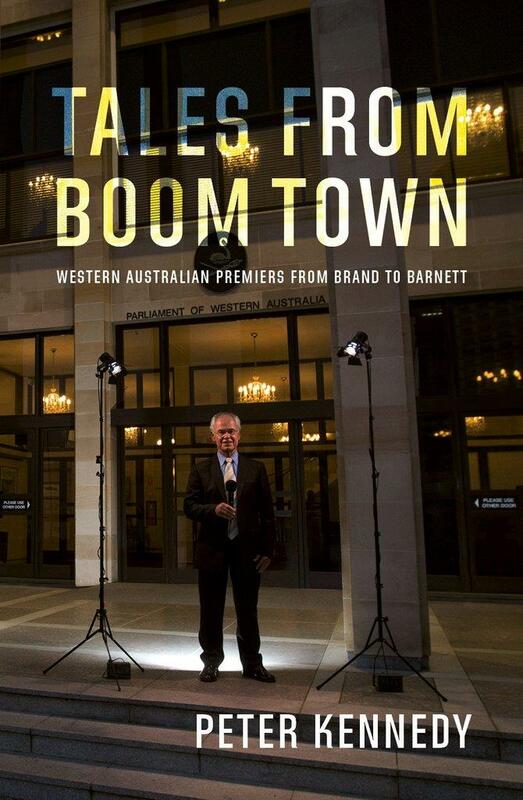 His insider’s account reveals first-hand the issues linked with changes to the social fabric of Australia; the jailing of two Premiers and a deputy Premier; the ruthless removal of a Premier mid-term; the election of the nation’s first female Premier, and the sensational ‘WA Inc’ Royal Commission. Kennedy interviewed widely to make this account of how the boom-bust West was led into its status as an economic powerhouse of the twenty first century. His interviews included Premiers Brian Burke, Peter Dowding, Carmen Lawrence, Richard Court, Geoff Gallop and Colin Barnett, and also federal leaders and ministers, including Malcolm Fraser, John Howard, Paul Keating, Graham Richardson and Malcolm Turnbull.